This set expands on my original project and makes the original objects a bit more versatile. 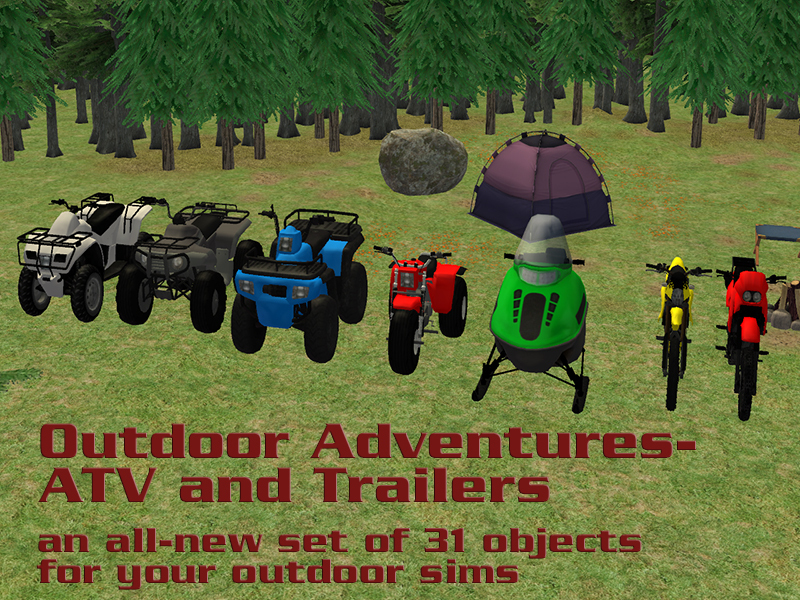 I hunted high and low for more ATV and trail bike meshes, and converted them to new objects. 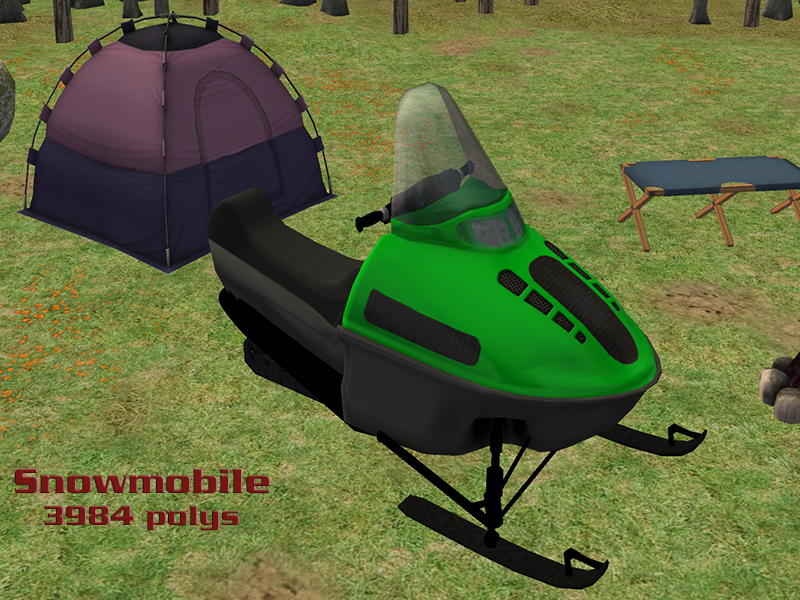 Unlike the original, multi-tile ATV and snowmobile objects, which were strictly deco, these each include two sim slots (they work like OMSPs) and some of them include deco slots for transporting objects. 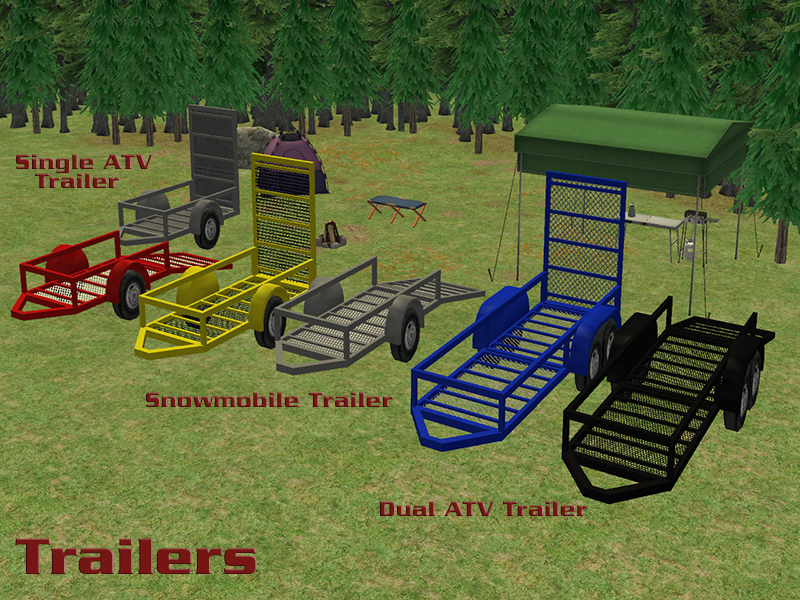 Also included is a set of trailers for transporting the vehicles. 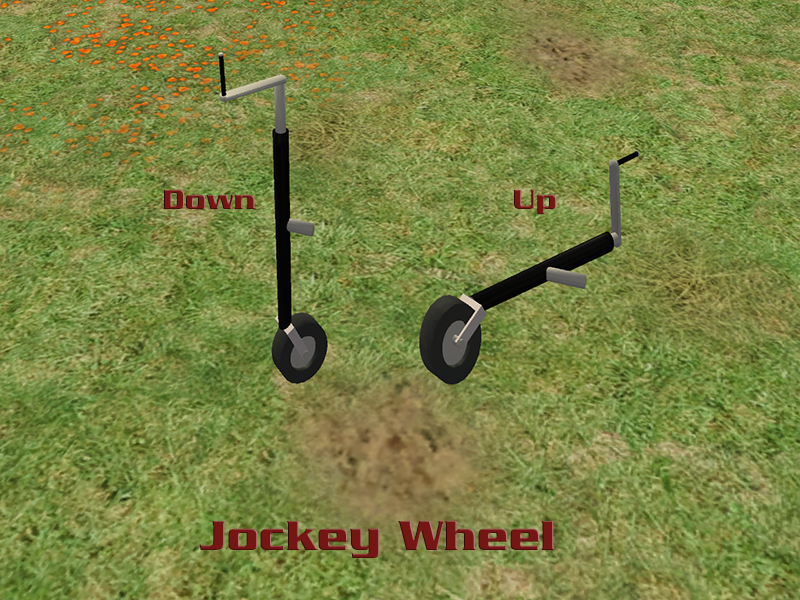 These are multi-tile deco objects, complete with hitches, receivers and jockey wheels. 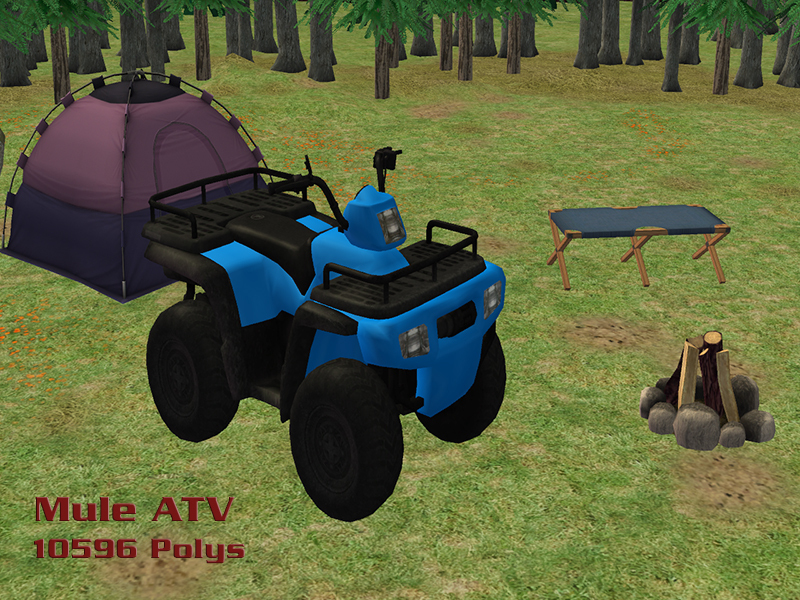 The vehicles can be placed in the trailers using a special set of OMSPs (also included). 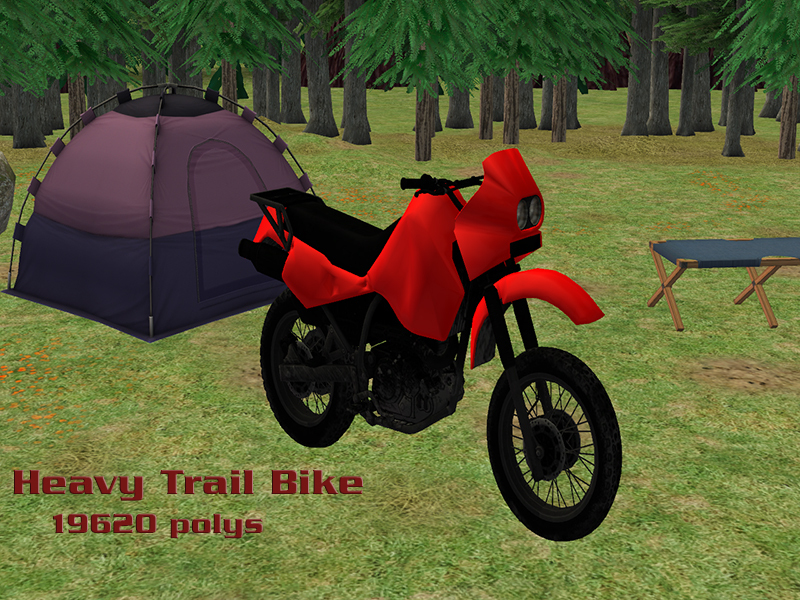 Lastly, the set includes a new collection file for easy location. 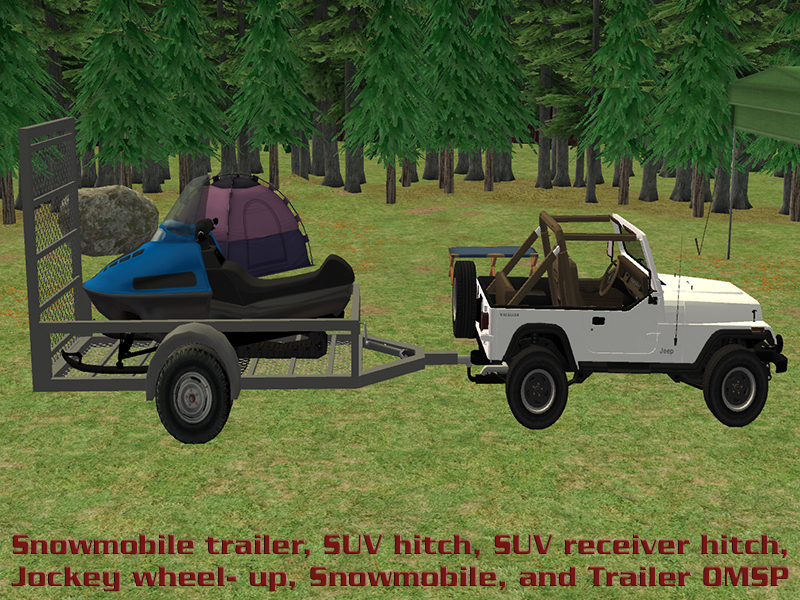 • This is the master object for all of the other vehicles except the snowmobile. It needs to remain in your Downloads folder or the textures on the other vehicles won't appear correctly. • It has five deco slots above the racks. 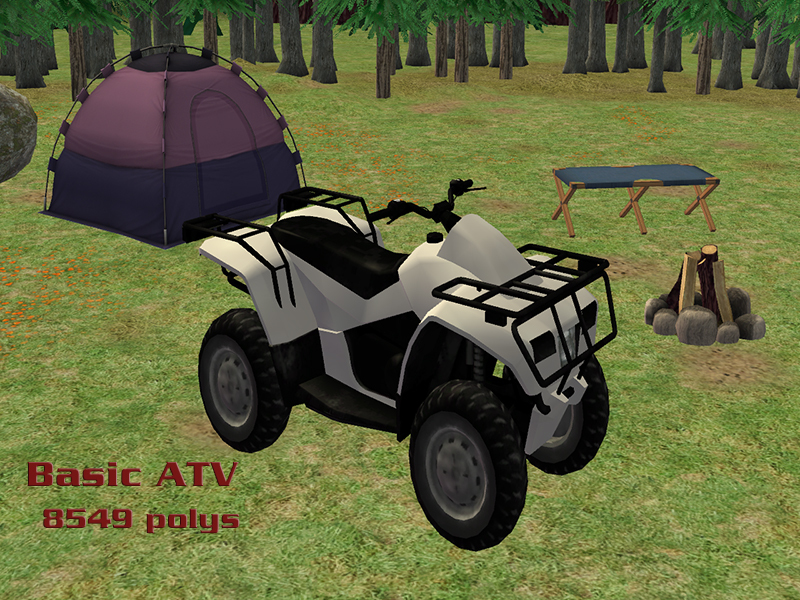 • This object is slaved to the basic ATV. • It has six deco slots above the racks. • It has one deco slot above the rack. 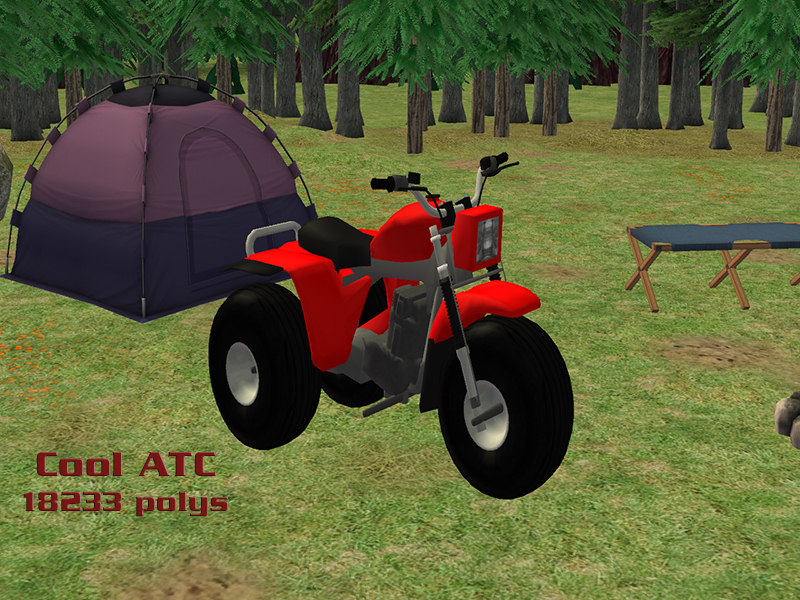 • The dual ATV trailer with the ramp down is the master object for all the other trailers, hitches, receivers, and jockey wheel. 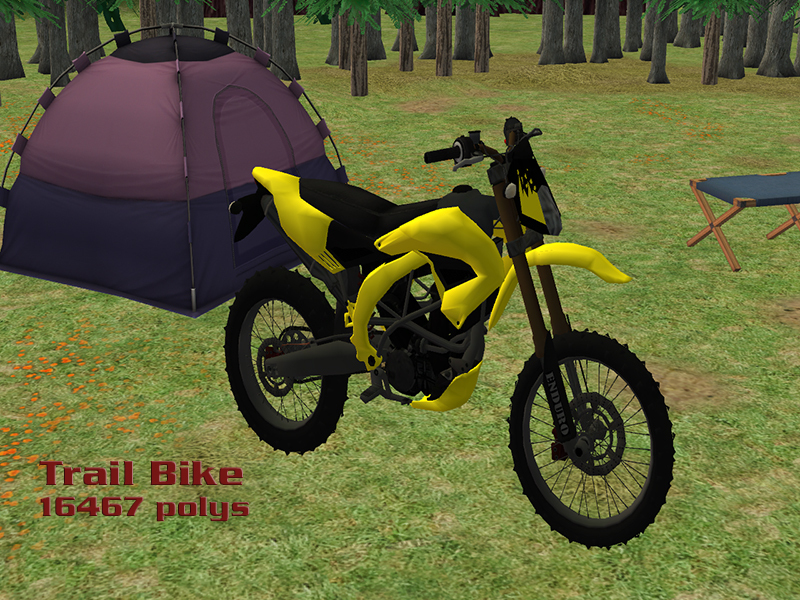 It needs to remain in your Downloads folder or the other objects won't appear correctly in game. 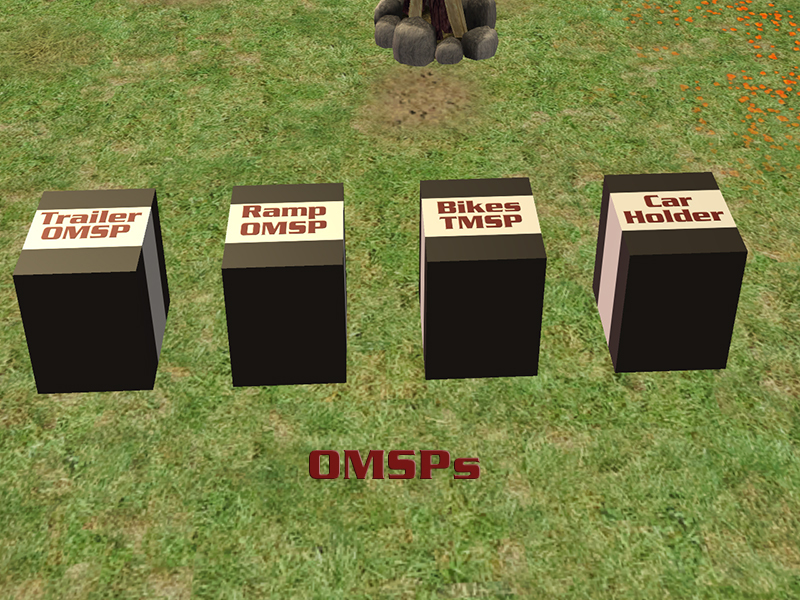 • These are place-anywhere deco objects (they can be placed on the same tile as another object without cheats). They're slaved to the dual ATV trailer. • Each hitch corresponds to a receiver hitch (1-5). 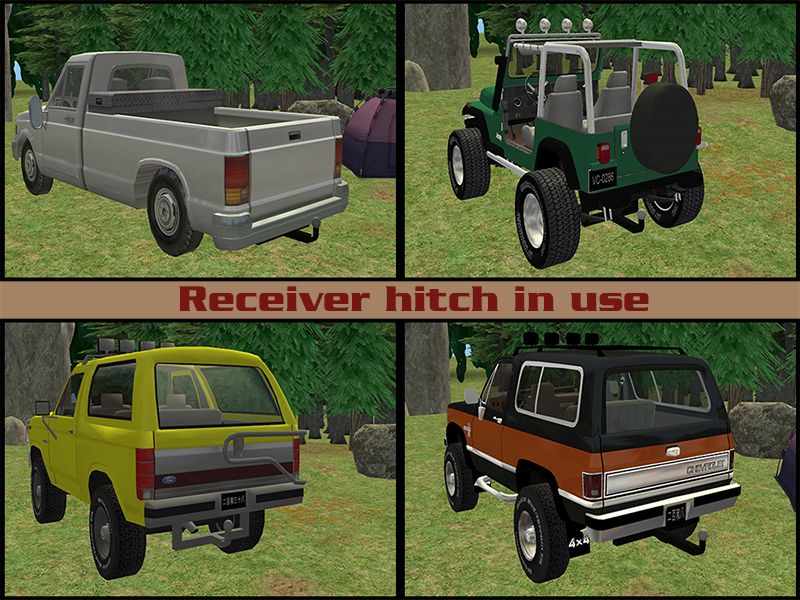 • The receiver hitches are made to fit a wide variety of vehicles (as seen in the above pictures). 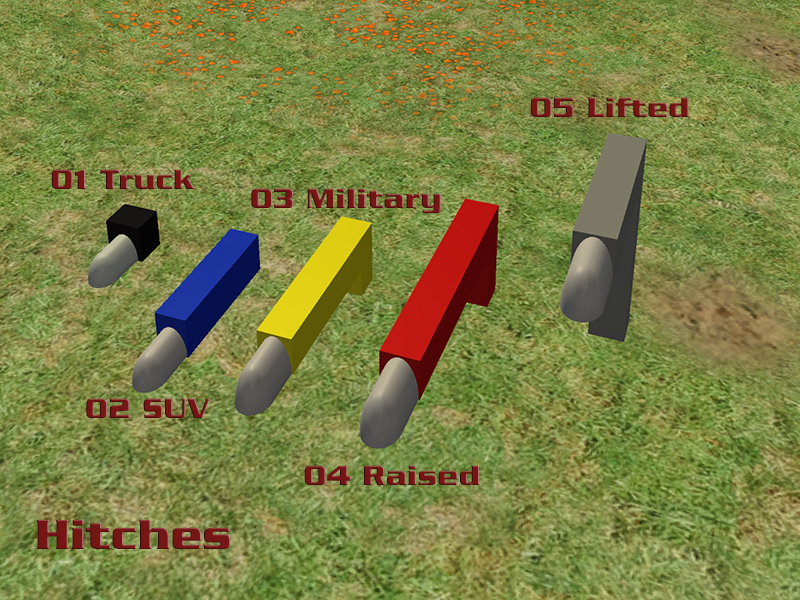 I've included the fitment information for the vehicles I tested in the catalog description. The link to Voviliacorp can be found in the credits, or the catalog description in the object. • This is a special set of OMSPs, designed especially for this set. Each comes with an invisible recolor. 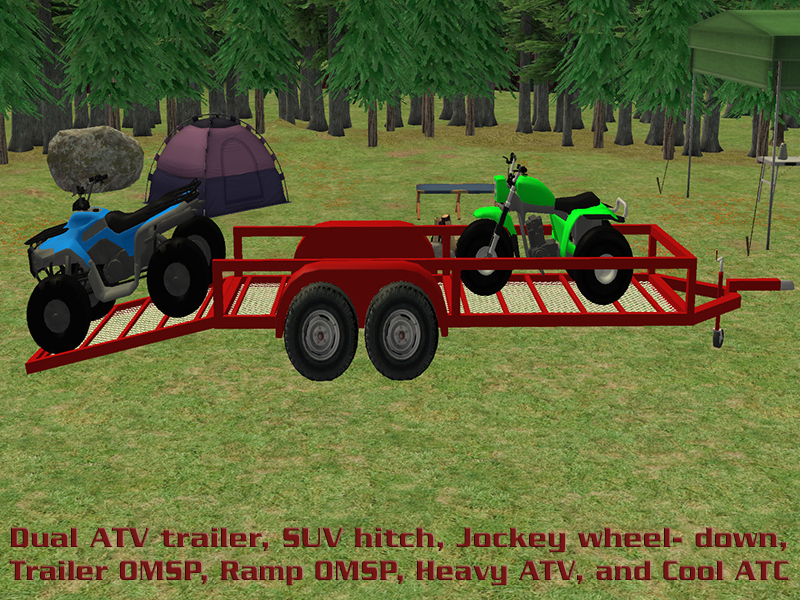 • The trailer OMSP holds a vehicle on a trailer. The ramp OMSP holds a vehicle on the trailer ramp. 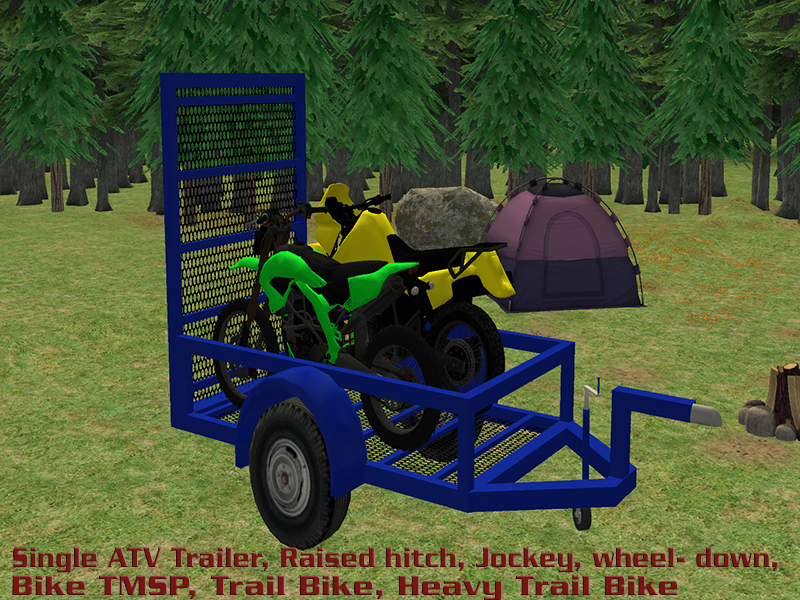 The bike TMSP holds two bikes on a trailer. 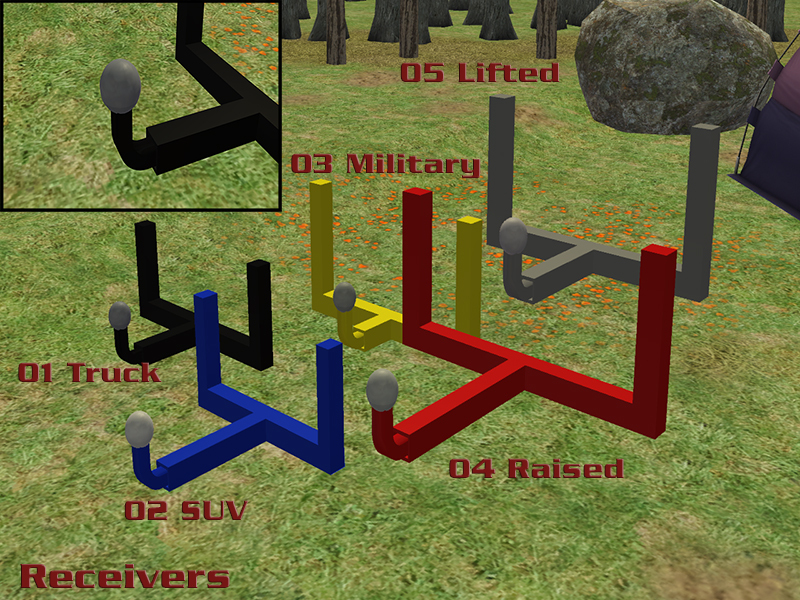 The car holder holds a vehicle, esentially making it a deco object. • The snowmobile clips slightly, so should be placed using setquartertleplacement on OR boolprop snapObjectsToGrid false. I'm lost for words. Have to give you a big Thank you for creating this. I cant wait to start writing my stories. I appreciate the feedback. I'm glad you like them.